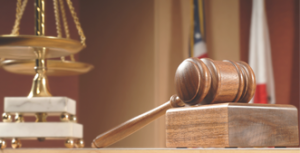 The California District Attorneys Association hosts many live training events and webinars each year on a variety of prosecution-related topics. 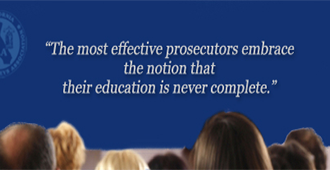 Our specialized MCLE-accredited seminars, many financed in part by state and federal grant funds, offer general and specialized seminars to prosecutors and law enforcement personnel. 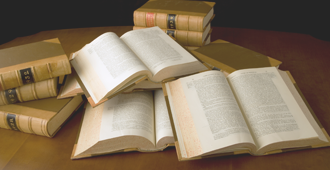 The California District Attorneys Association has been providing legal publications to prosecutors, law enforcement, and other allied administration-of-justice professionals for more than 30 years. Today, with the assistance of grant funds and invaluable volunteers, CDAA’s Publications Department produces topical periodicals, specialized newsletters, trial practice manuals, monographs, and handbooks. 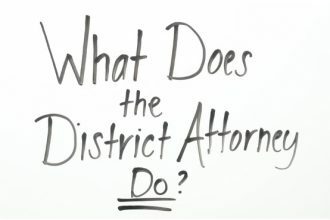 The primary role of the District Attorney is to protect the community he or she is elected to serve. District Attorneys represent the public and endeavor to improve public safety by prosecuting those who threaten the well-being of the community and its citizens by breaking the law. Ultimately, a DA strives to improve the community he or she represents by making it a better place to live for everyone. 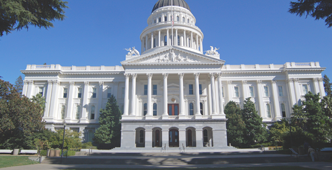 Click HERE for the 2018 Legislative Digest—a summary of all the new bills that affect prosecutors—written by Santa Clara County Deputy District Attorney Kathy Storton. Click here for a PDF of the 2018–19 training and events calendar. Available models include an abusive head trauma demonstration model, lungs, a trachea, a skull sitting on a cervical spine, an 8-part brain, a brain with arteries, a 12-part mini torso (20″ tall), a 14-part torso (34″ tall), and a 16-part mini torso (17″ tall). For more information, photos of the models of available, and to download the lending library form, click here. The scrutiny on prosecutors and the criminal justice system in general continues to intensify and the Legislature and State Bar have both reacted. Join CDAA as we have a conversation with legal ethicist Gary Schons regarding a new law and a proposed Bar rule impacting our profession. Click here to watch the video. How Big of an Issue is Elder Abuse in California? Here in California, Adult Protective Services (APS) receives as many as 10,000 reports of elder and dependent adult abuse per month, and reports are increasing. That’s an estimated 120,000 cases of reported elder and dependent adult abuse PER YEAR in California. What makes this number even more alarming it that for every case of abuse that is reported, four cases go unreported. That’s an astounding 600,000 incidents that were never reported. For each bill, you’ll see a brief description of the issue, the current location of the bill, and CDAA’s position. Once you’re viewing a particular report, clicking on the bill number will take you to a page with links to the language of the bill (including prior versions), all analyses that have been done by legislative committees, and any prior votes in committee or on the floor. Some bills will also have links to attached documents that we have uploaded – primarily letters of support or opposition. Right now that feature is only active on a few bills, but after this legislative year, that function will expand greatly. Clicking on the author’s name will take you to that member’s official website. If you are CDAA member and don't know your user name or password, please click the “Lost Password” link above, and then click the "my password" link on the subsequent page to reset your password via email. You may also call 916.443.2017 to speak with someone for help. To update your online profile with CDAA after logging in, please go to the “Prosecutors Resources” tab at the top of the homepage and select "My CDAA Profile" from the drop down menu.